Apple has released the newest version of its mobile operating system, iOS 11.3.1. Though not quite iOS 11.4, the update is now available to users through the settings app, and does come with a fix to one of the more notable issues introduced by iOS 11.3 in mid-April, MacRumors reports. Screens that were replaced with unofficial parts and became unresponsive in iOS 11.3 should work properly with this update. Earlier this month, iOS 11.3 seemed to introduce a bug that made some iPhone 8 screens unresponsive to touch if they weren't official Apple parts. This was in spite of the screen functioning properly before the software update. 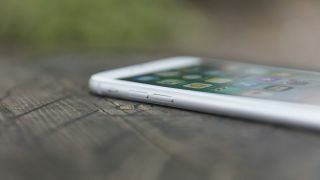 Some were concerned that Apple was intentionally disabling unofficial repair parts, as users with aftermarket home buttons for the iPhone 6 had experience similar issues. But, the update fixes the issue, seeming to show Apple isn't trying to block third-party components. Beyond this fix, iOS 11.3.1 is a minor update, with no exciting new features coming with it for those unaffected by the screen issue. It appears to be mostly focused on security, addressing multiple memory corruption issues and protecting phones from a text message that could spoof the user interface. There are still plenty of iOS 11 problems that this latest update won't fix, but we expect many of the most pressing issues to be resolved by iOS 12. The reveal of iOS 12 is likely to occur during Apple's WWDC 2018 event in early June.